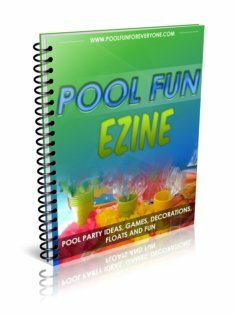 The importance of sunscreen to prevent sunburns, reduce your risk of skin cancer and to protect your face from aging are just some of the reasons it needs to come with you to the pool. However, selecting one that keeps the sun's rays and harmful ingredients from penetrating the skin is not so easy. Ingredients that can contribute to allergies, asthma, hormone disruption and cancer are some of the dangers of sunscreen. You can take the mystery out of choosing a more natural and safe sunscreen for your kids by using the Skin Deep app from the Environmental Working Group (www.EWG.org) website. On a scale of 1-10 ingredients are rated for their toxicity. Look for sunscreens that have a 1-2 rating. Stay away from ingredients like oxybenzone, fragrance, parabens and nano-particles. While a spray on sunscreen is often the easiest to apply, it also has its dangers. Aerosol spray ingredients are dangerous when inhaled and can get into your lungs. 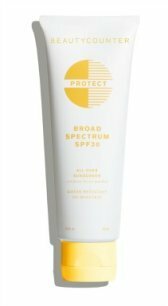 Are you looking for a safe sunscreen but you don't know how to interpret all of the ingredients with words that you can't even pronounce? Did you know that testing the safety of chemicals in sunscreen or any personal care product is not required by federal law? Watch out for words like "natural" or "pure" as they are undefined and not regulated. As parents seek out more safe options companies are marketing with labels that say "Paraben Free" or "Fragrance Free" but still may contain other harmful ingredients. "Most parents don't realize how many ingredients are in baby products that either don't need to be or shouldn't be included. My philosophy with all products, especially children's skin care products, is 'less is more' and 'keep it simple.' Kids naturally have sensitive skin that can easily be irritated by too many ingredients and with young skin, systemic absorption is a real concern. Most parents also don't realize that manufacturers are not required to label all of their ingredients so it's important that parents read the packaging and avoid irritating formulas that contain perfume, dyes, parabens and phthalates." To protect your face from signs of aging, like fine lines and wrinkles, apply a face moisturizer with sunscreen. 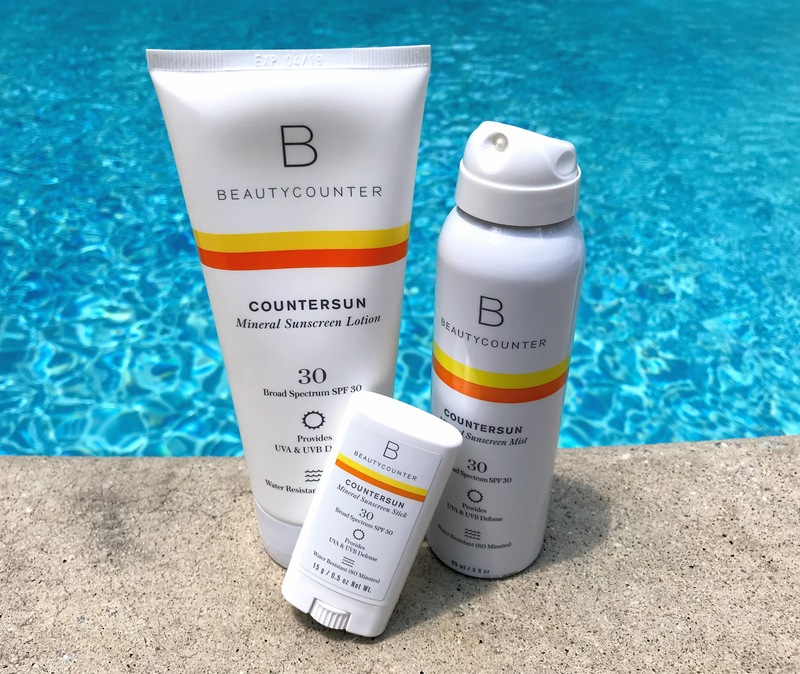 An Sun Protection Factor, SPF, provides you with the amount of time you can stay in the sun without getting burned wearing sunscreen. If you typically get a sunburn without protection in 15" an SPF of 20 means you can stay in the sun 20X longer and not get burned if applied correctly. "High SPF products require higher concentrations of sun-filtering chemicals than low SPF sunscreens. Some of these ingredients may pose health risks when they penetrate the skin, where they have been linked to tissue damage and potential hormone disruption. Some may trigger allergic skin reactions." Black currant seed oil and sweet almond oil hydrate while hyaluronic acid promotes firmer and smoother looking skin. Avoid any sunscreen that lists Vitamin A, retinal palmitate, retinal acetate, retinoid acid, retinal linoleate or retinol as an ingredient. The EWG reports, "A study by U.S. government scientists suggests that retinyl palmitate, a form of vitamin A, may speed the development of skin tumors and lesions when applied to the skin in the presence of sunlight (NTP 2012)." It's especially important to use and apply a safe facial sunscreen if you use one regularly. The chemicals are absorbed by the skin and penetrate into the blood stream. If harmful ingredients are used they can contribute to hormone imbalances, allergic reactions and increase your risk of cancer. 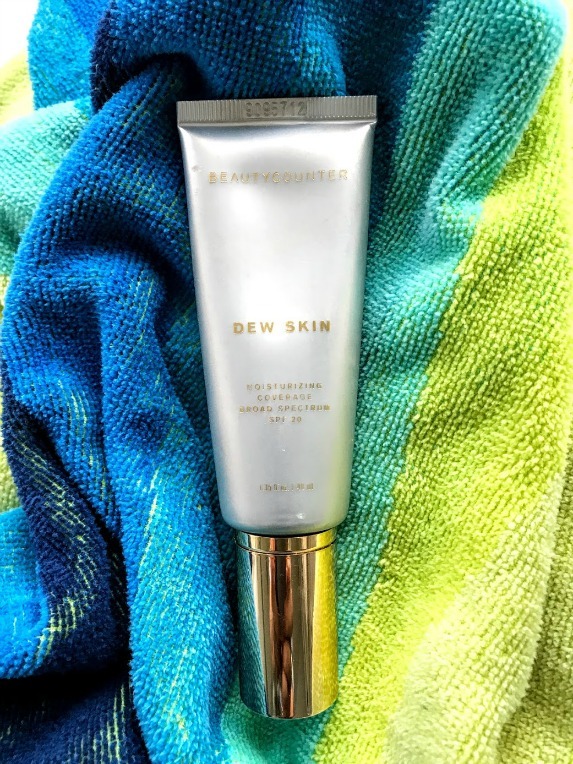 I love the light feel of Beautycounter's Dew Skin Tint. It comes in several shades so it overs a light foundation, that moisturizes my skin while protecting it from the sun. Ingredients like black currant, peony flower root extract and vitamin C reduce the appearance of age spots and enhance skin brightness. I always look for this ingredient - hyaluronic acid because it promotes smoother-looking skin. You can get protection and better looking skin all in this one product. Don't let your lips sunburn. It's easy to do. Protect your lips from aging and sun damage with a moisture replenishing lip balm with an SPF of 15. Unlike other SPF lip balms, this one only includes safer, more natural ingredients including cocoa and shea butter, olive oil and bees wax. And when you apply something like this frequently, it's all the more important that it's safe and free of harmful toxins. This lip balm sunscreen rates a safe 1 on the Skin Deep Database with 8 being the least safe. Protecting our skin from the sun is important to prevent aging and damage from UVA and UVB rays but just as important, protect your skin from absorbing harmful ingredients that can disrupt your hormones, increase your risk of cancer and contribute to allergies. 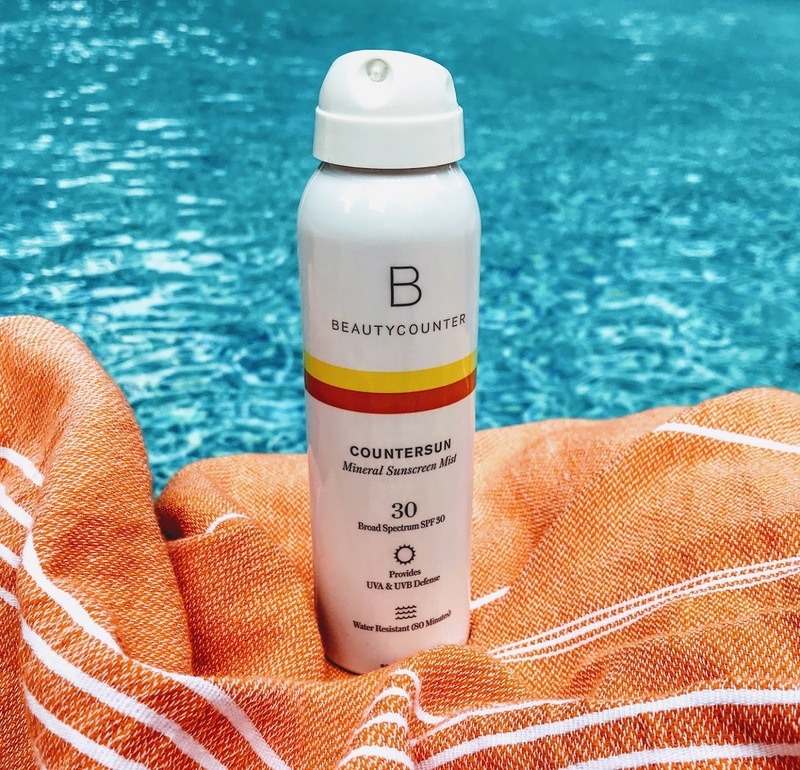 This safer sunscreen spray has all the convenience of applying sunscreen with an easy mist spray (not an aerosol) without all of the inconvenience of harmful ingredients. 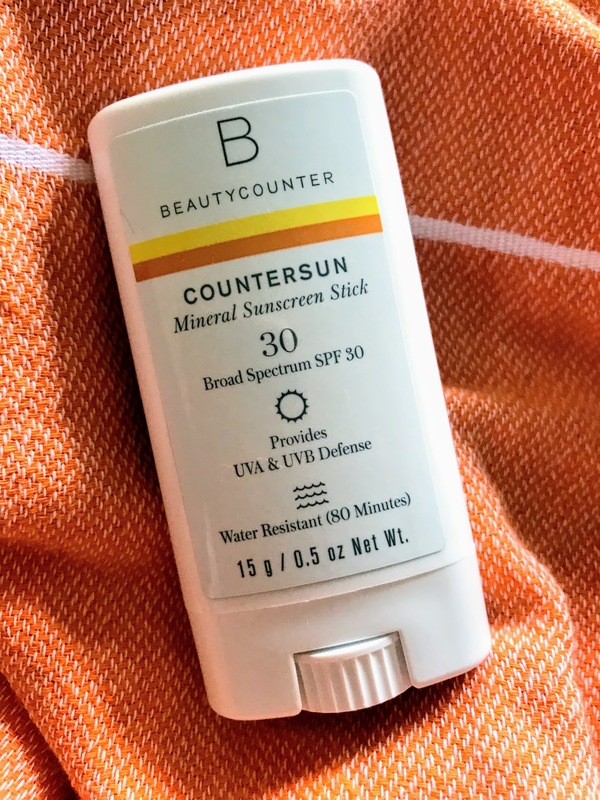 What makes it a better sunscreen? Safer non-nano zinc oxide, protects against UVA, UVB and blue light rays, and antioxidant rich California poppy is there to fight free radical damage. It's easy to blend in the spray - which sprays on white so you can see where you've missed spots but dries quickly without any oily feeling. 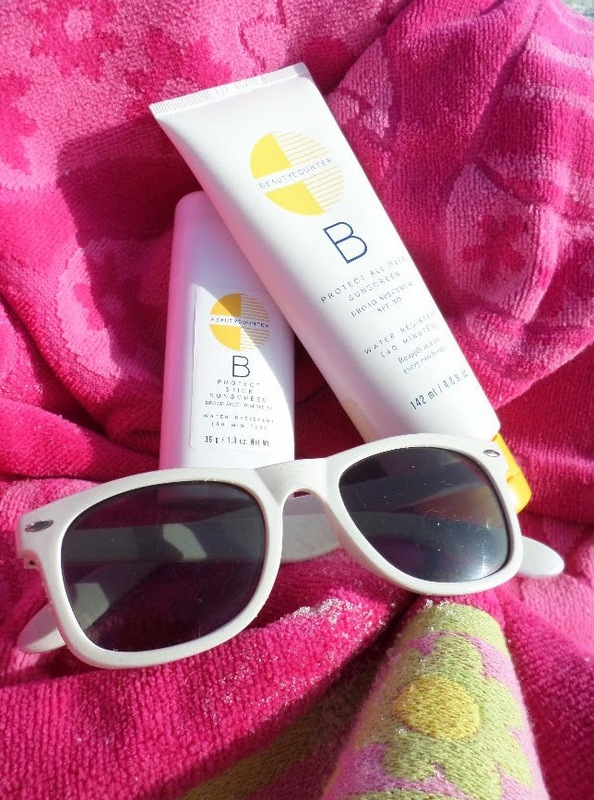 You will love this travel size sunscreen. 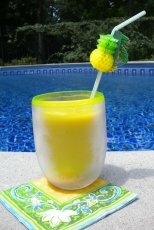 It's small and can be carried in your purse, cosmetic bag, pool or beach bag. Applying sunscreen with a stick is so convenient and less messy. This water resistant sunscreen stick has up to 80 minutes of water resistance and an SPF of 30. With no hormone disrupting ingredients, it uses non-nano zinc oxide as a mineral sun blocker. The two keys to good sun protection with sunscreen lotions are to use it liberally and to re-apply often. Combine it with other sun protection like wide brimmed hats, wrap around sunglasses and uv protective clothing.